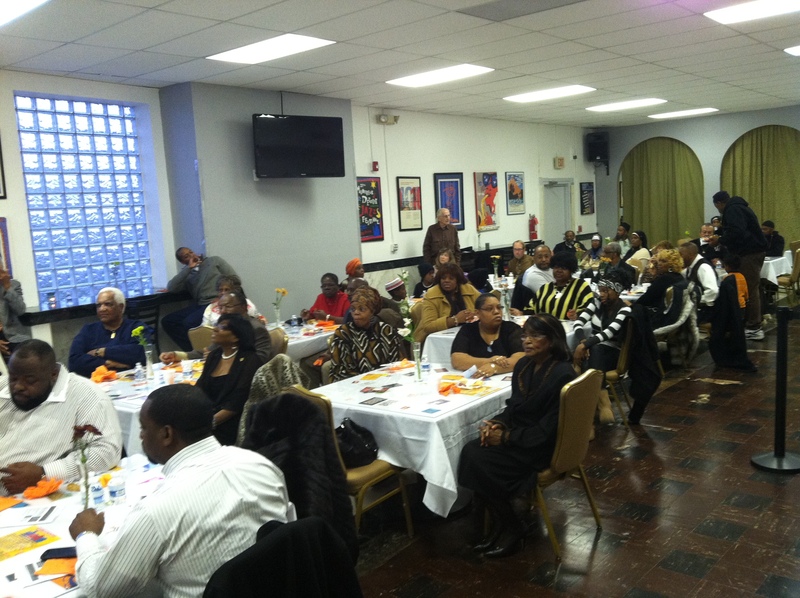 Jazz Cafe Music Institute on November 25, 2012. You gotta have friends, the song goes. 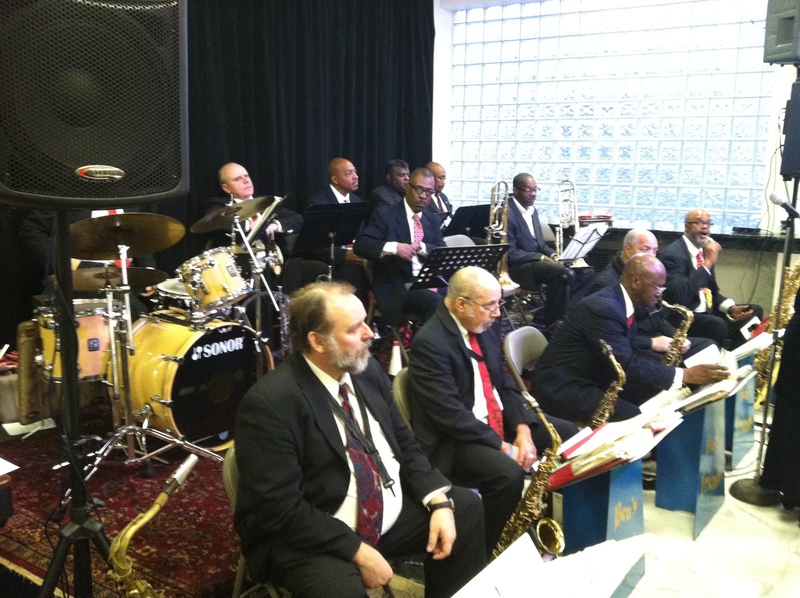 In the world of music the best “friends you could have include Ben’s Friends Jazz Orchestra. 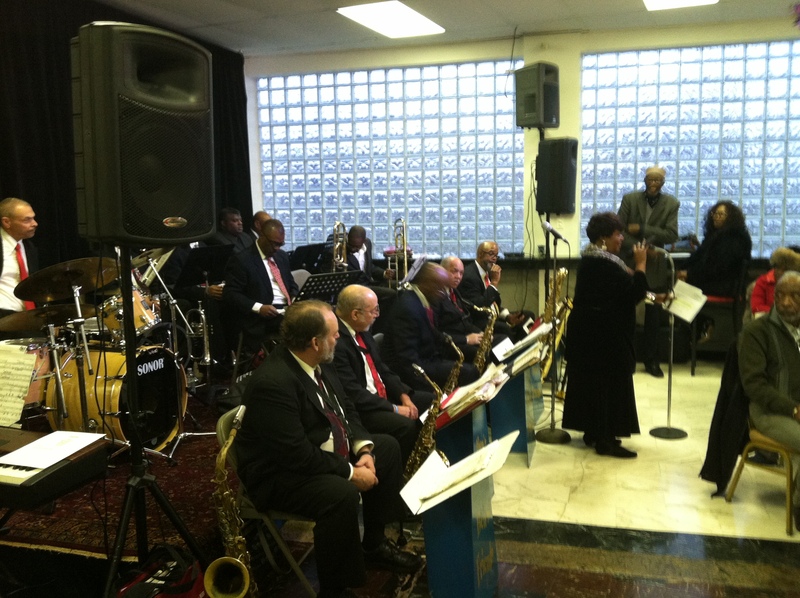 The group has performed at Baker’s keyboard Lounge for the past 10 years. It is a standing room-only favorite on Thursday nights. There are more than 70 members in the jazz orchestra–recording artists, music educators, performers and songwriters/arrangers among them. They represent 817 collective years of musical expereience. “Ben” is Benjamin “Cat Daddy” Pruitt, who came to Detroit from Little Rock, Arkansas in 1966. He taught in Detroit Public Schools. A saxophonist, he shared his passion for jazz with audiences and other musicians. Pruitt and his best friend Clarence “Skeets” White (alto sax) jammed with others. A big band consisting of 17 musicians was formed. Besides their love of jazz, the only thing the musicians had in common was their friendship with Pruitt. so they agreed to call themselves Ben’s Friends. Ben’s Friends’ first gig ran for eight consecutive years at SigmaPlaza on Detroit’s East Side. The size of the gifted group grew “because once a Friend, always a Friend.” Whenever they play, past members are invite to sit in and jam. Great talents are on the list of members, including Marcus Belgrave, Ernie Rodgers, Skip Pruitt, “Big Bill” Carter, Charlie Hill and Joe A. Williams. The group has two vocalists: Shiron Denise & Deanna Weeden. Ben’s Friends Jazz Orchestra wowed audiences at the 2000, 2004 Detroit International Jazz festivals, Birmingham Jazz Fest. They are performing here, at the Muhammad Mel Wanzo Jazz Café in honor of their friend, the late Mel Wanzo.